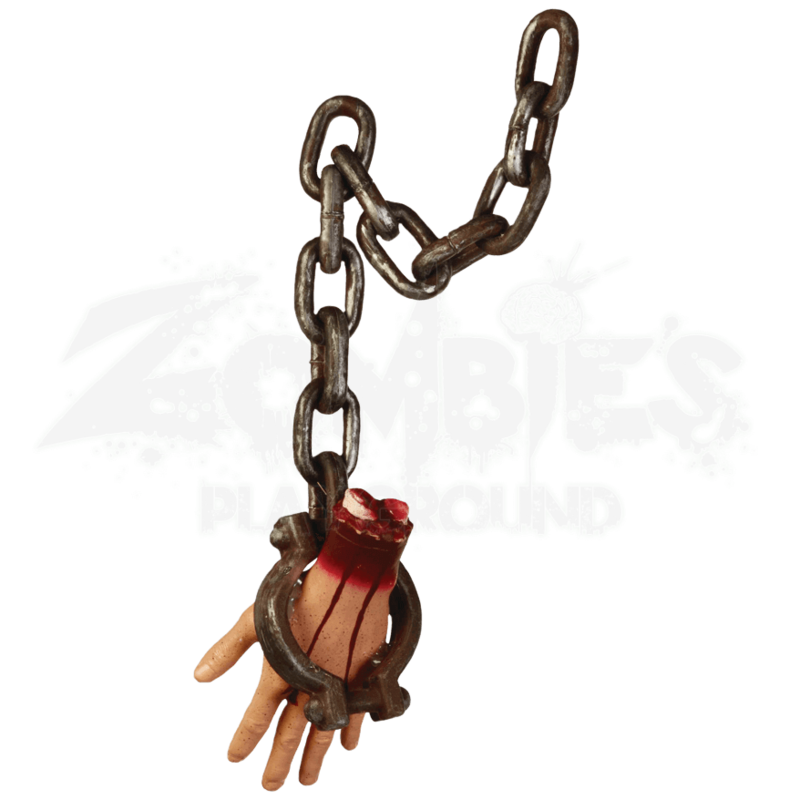 Those in need of a spare hand can find one hanging on your walls when you decorate with the Hanging Bloody Hand. It is hard not to think of gruesome torture when you look at this severed hand, hanging limply in a metal cuff. And without any explanation, there are so many questions that go unanswered about it. This decoration depicts a brutally severed hand that is eternally locked into a metal-gray shackle attached to a length of chain. The hand has a healthy flesh tone, although streaks of blood run down the length of the hand from stump to fingers. The stump is stained with blood and reveals the gory, bloody tissue that sits just underneath the skin, as well as the two broken bones that protrude out from the severed stump. This decoration is made from hollow molded plastic, making it great for indoor and outdoor use. It has a total length, from fingertips to the end of the plastic chain, of 25 inches. 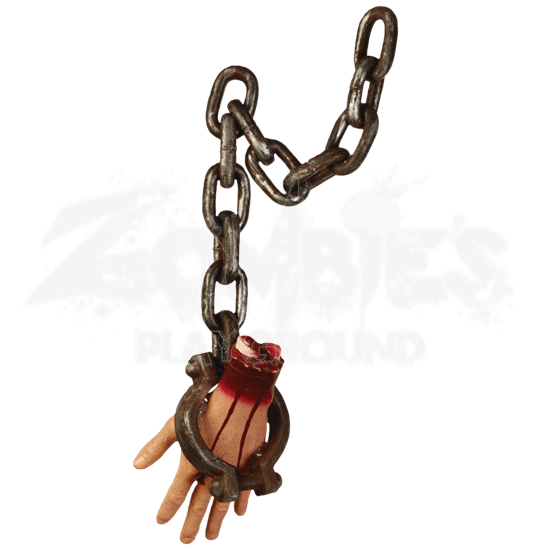 Suspend this Hanging Bloody Hand at a location in your yard and see if zombies gather beneath, trying in vain to reach a piece of fresh meat, or carry this visceral prop with you as you wander the town with your zombie pals in search of a meal.